Connects to any pump with a 3”, 150# ANSI flanged discharge. Outlet is a 4” flanged discharge. 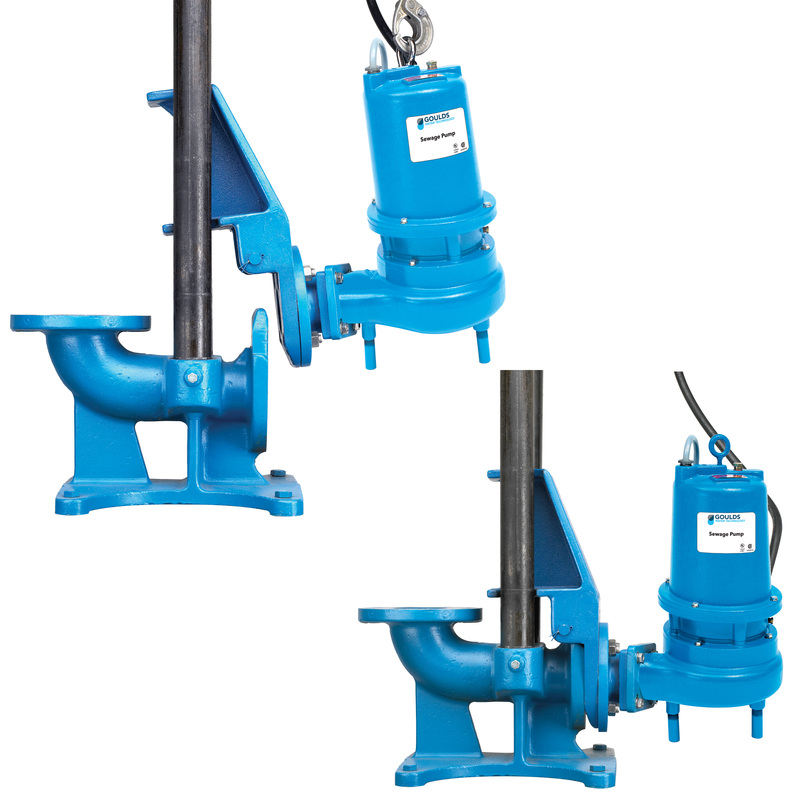 Connects to any pump with a 4”, 150# ANSI flanged discharge. Outlet is a 6” flanged discharge. Cast iron construction for standard applications. Optional bronze pump adapter for applications requiring a non-sparking disconnect. Standard kit contains a Base, a Pump Adapter with all required bolts and fittings and the Upper Guide Rail Positioning Bracket. Optional intermediate guide rail brackets are available in either steel or brass for non-sparking applications. Guide rails are not supplied – they may be sourced locally – 2″ stainless steel guide rails recommended. Spare pump adapter kits are available for those who want a back-up pump/adapter ready for an emergency quick change.